It's a '90 PC 23 CBR. I've changes the cam chain for aprox. 6000km, the oil is changed 1000km ago( it's Motul 7100 10W60). It got 10W40 with the cam chain change, but from Motorex. Also the cam chain tensioner and the cam chain adjuster were changed also back then. After the change the sound it had with the old chain was still there, although I've read that with Motorex oil the cam chain makes no "snake-like" sound anymore. With Motul it made no sounds what so ever. Now I've changed the oil again and...surprise although the snake sound had disappeared, now it came back. After 3000rpm she's got a snake inside. If I accelerate moderately the sound is a little more dissipated, but is I change at 4000rpm or I accelerate more abruptly the sound is there. Under 3000 no sound. Or maybe there is a sound but it's not so powerful. As far as I know til 3000rpm the little spring does the trick, and after 3000 it's hydraulic, on oil pressure. My question...I know that the cam chain sounds are a particularity of the Honda's but still is this normal ? Could it just be the oil? Or maybe the oil pump isn't doing her thing anymore? How could I know if it's the pump? The red light is on only at ignition. 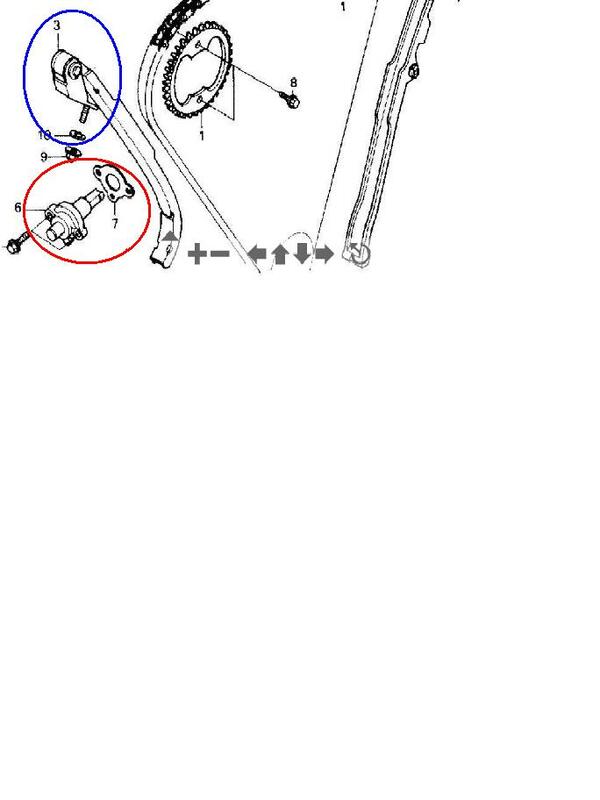 Second question..has any of you put on a 90's CBR like mine a can chain adjuster from a F3 ? If so, what adjustments must there be done for it to work properly? I attach a microfiche picture so that you can see exactly what was changed. It' the spare parts number 3 and number 6. Thanks guys and have a safe ride! two great write-ups on changing your CCT! 87 hurricane 600 chain problem please help!!!!! Problem with chain? or something the like? Quick Reply: Cam chain problem?